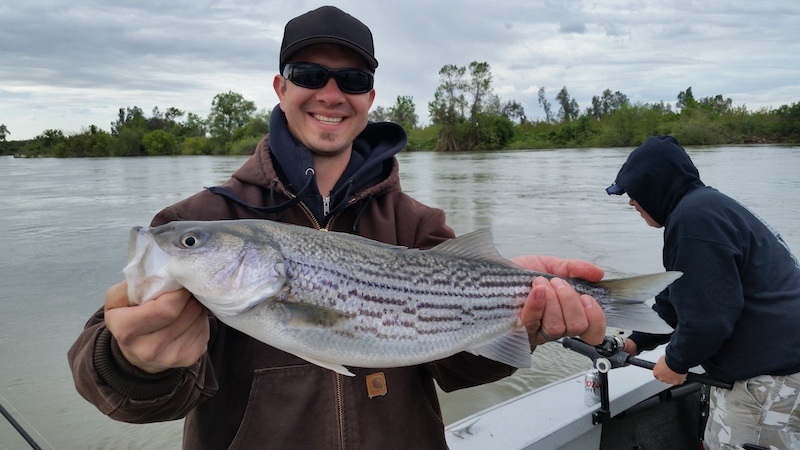 Starting in April and going until June (sometimes July), stripers will ascend our valley rivers in droves to make their spring spawning run. 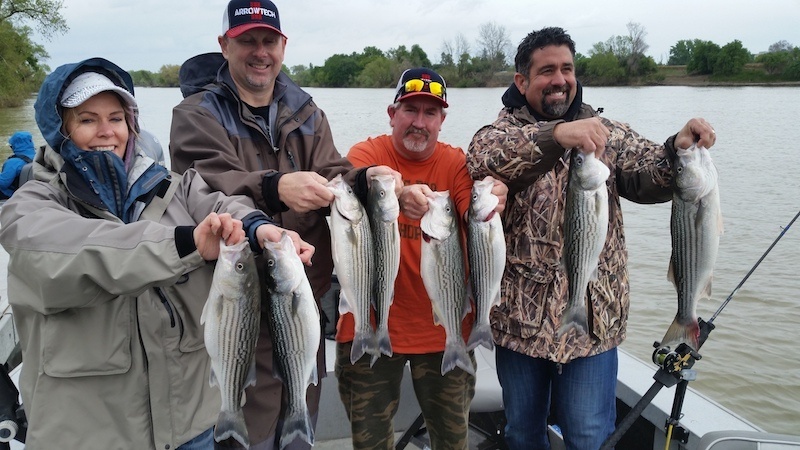 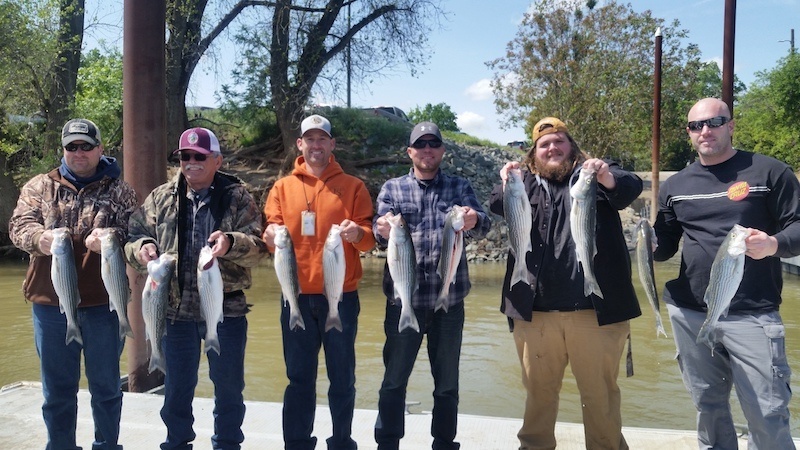 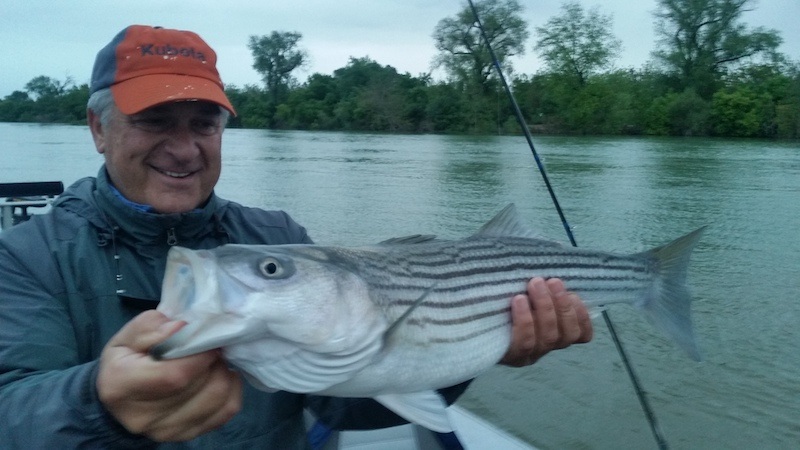 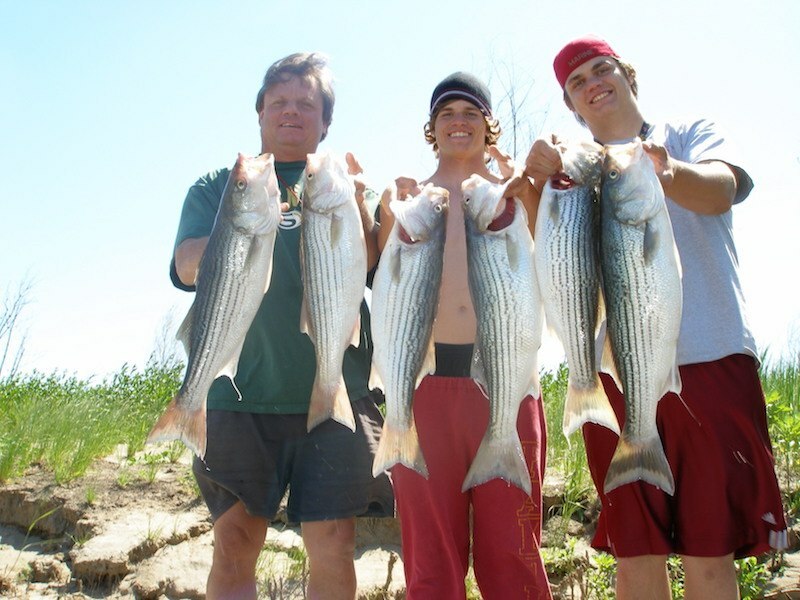 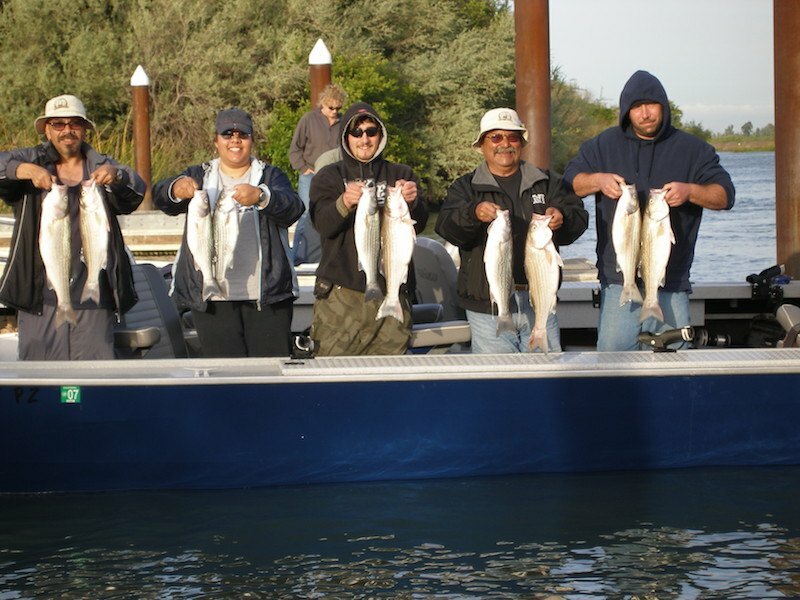 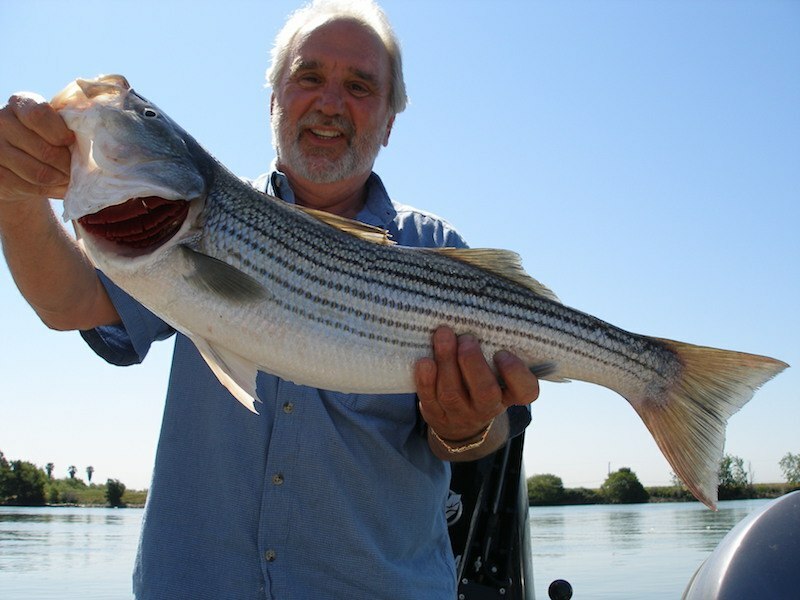 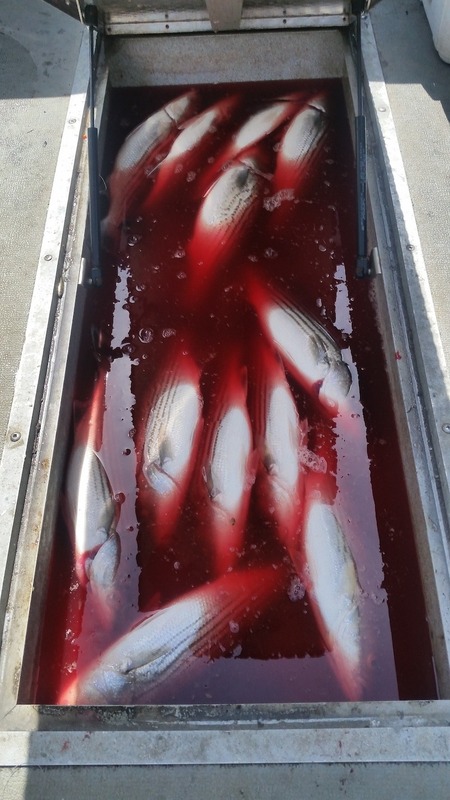 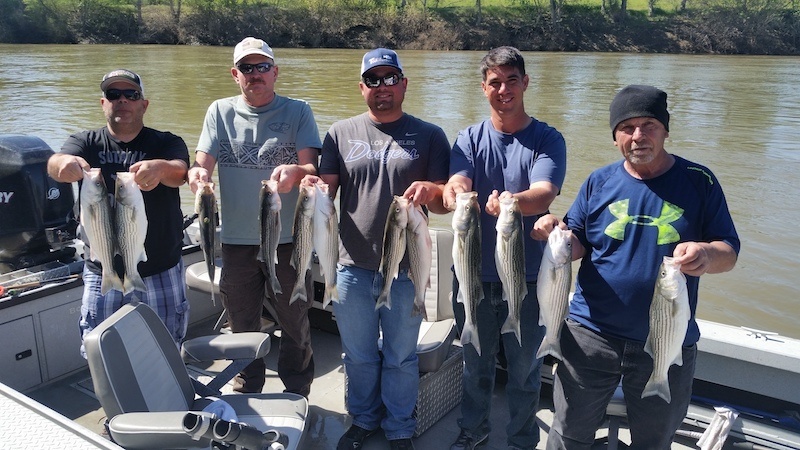 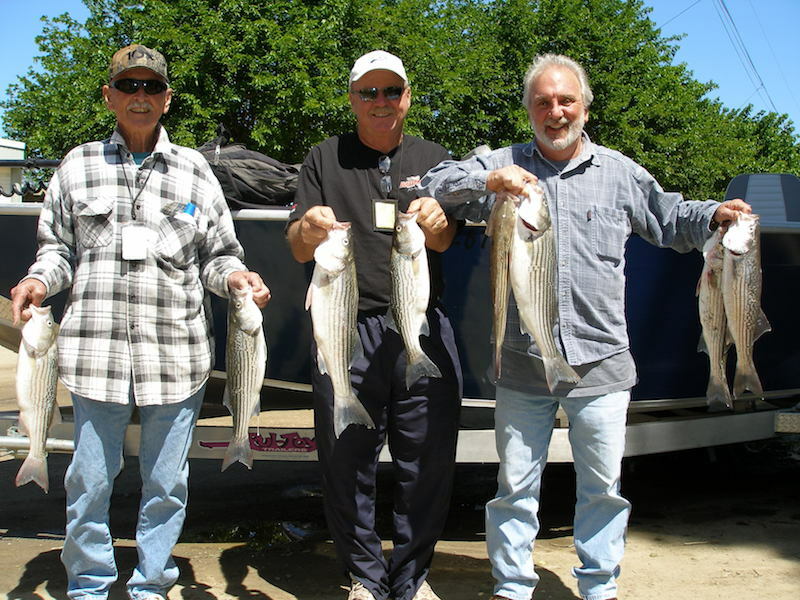 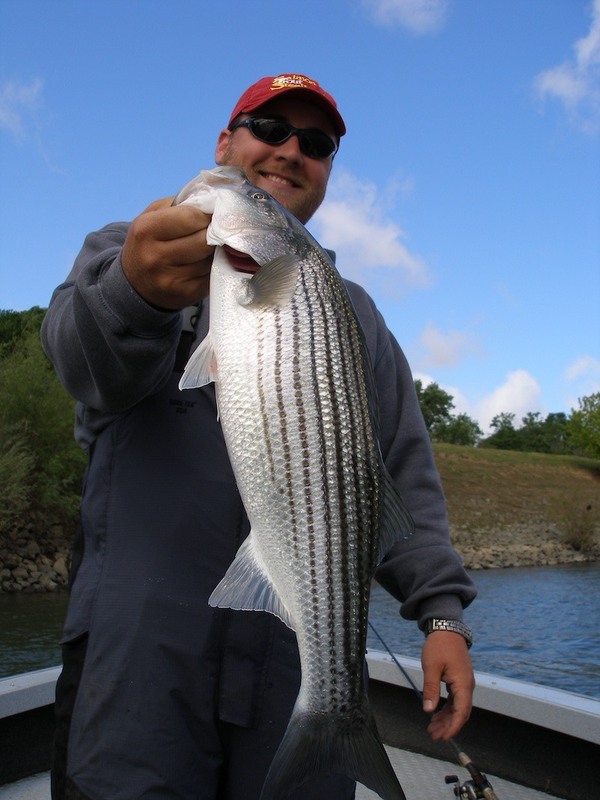 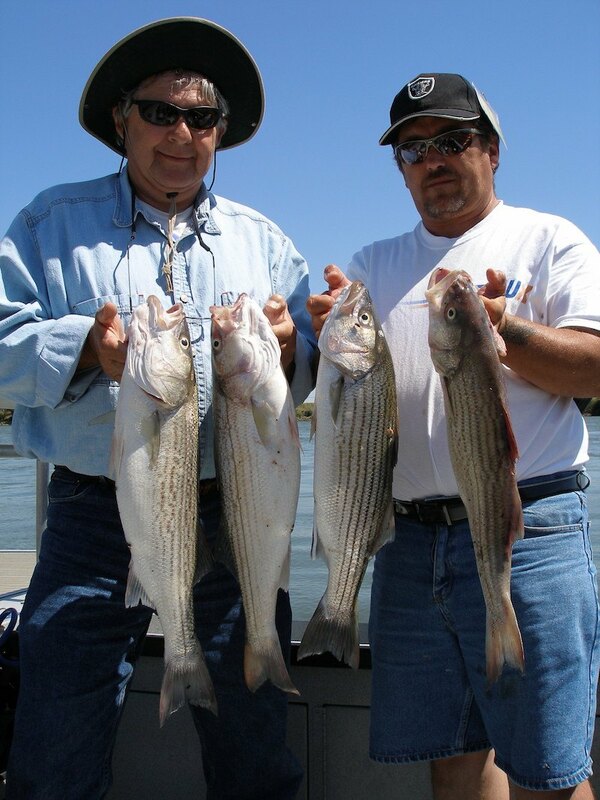 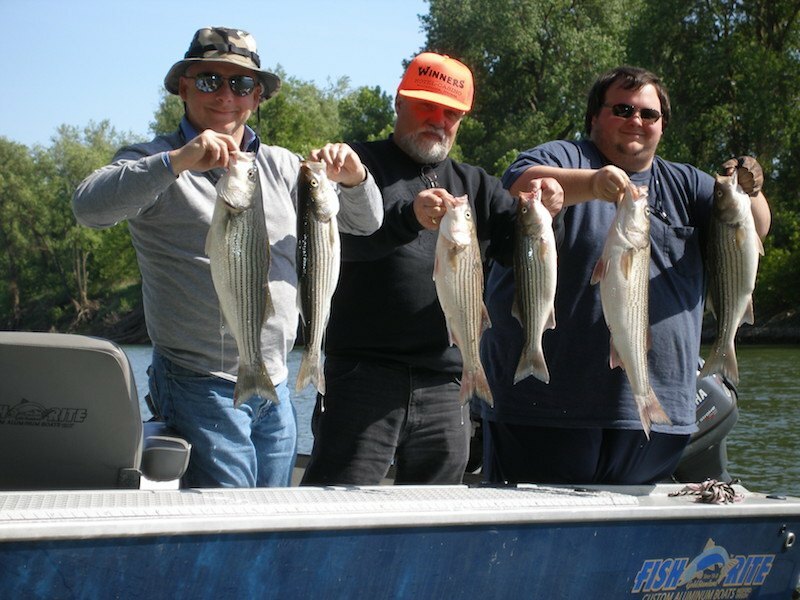 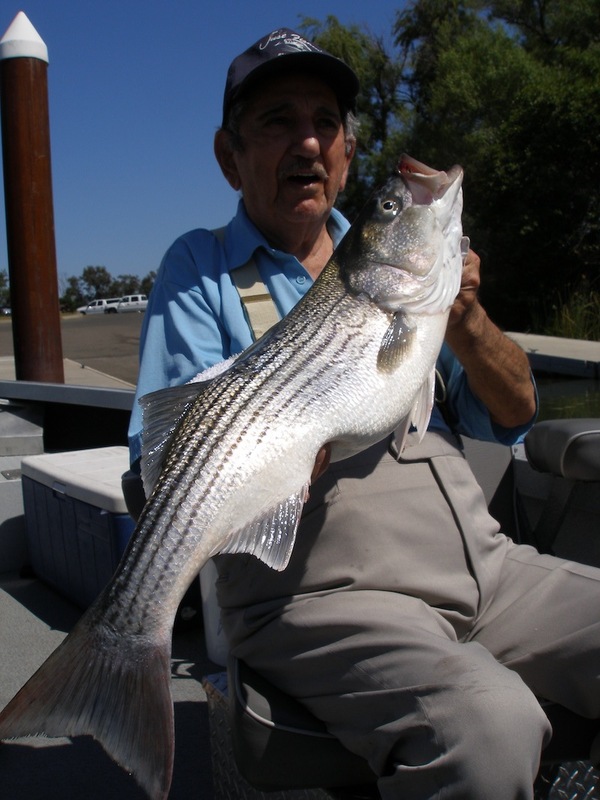 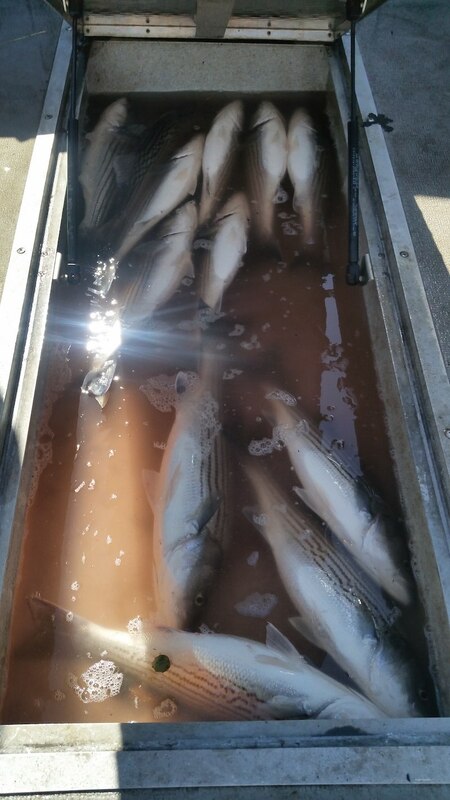 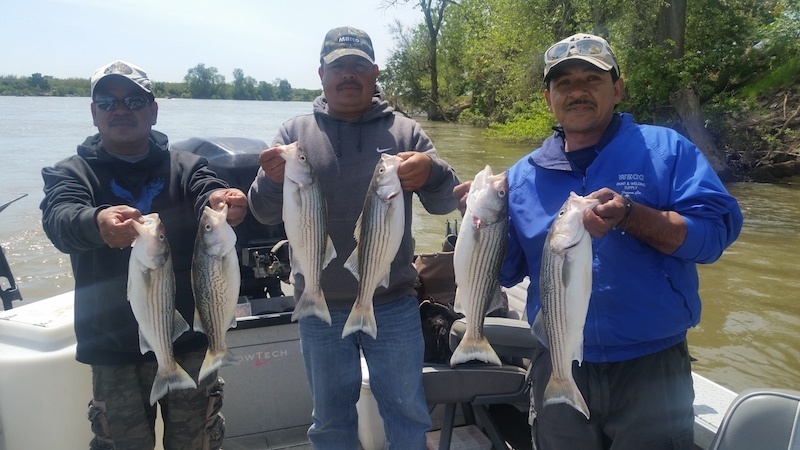 We focus our striper fishing efforts on the Lower Sacramento River near Colusa and the Yuba City area on the Feather river depending on water conditions. 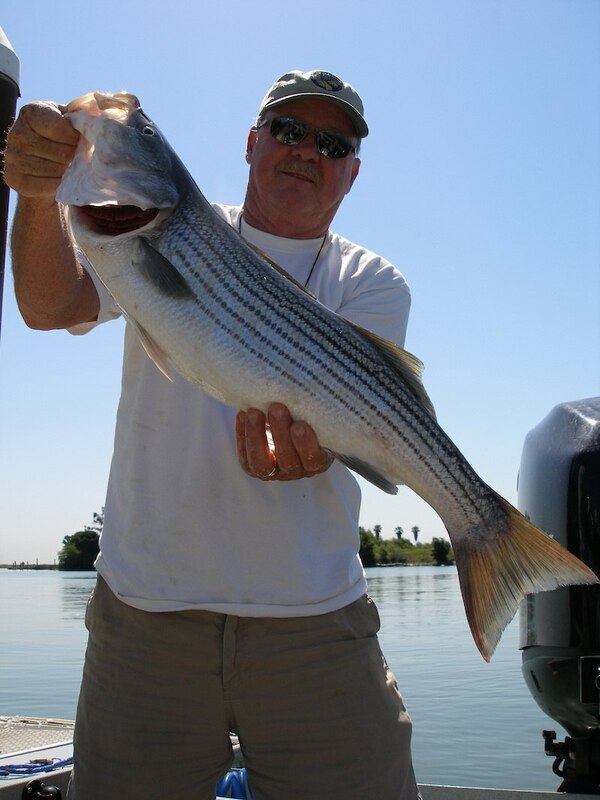 These fish are very aggressive and will readily take both lures and bait. 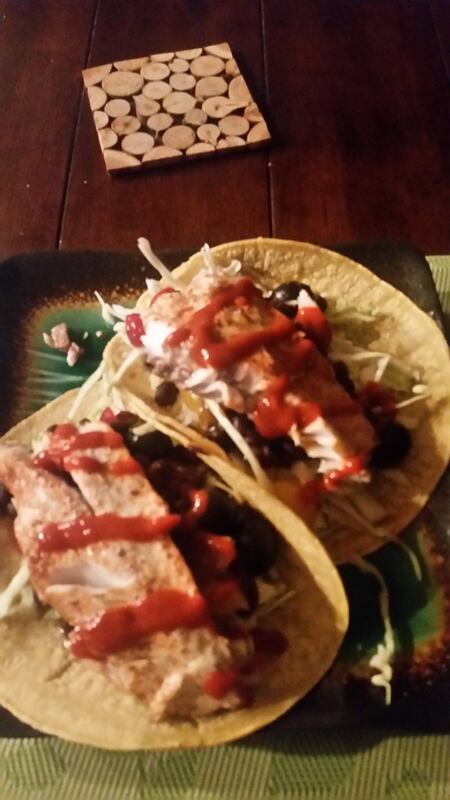 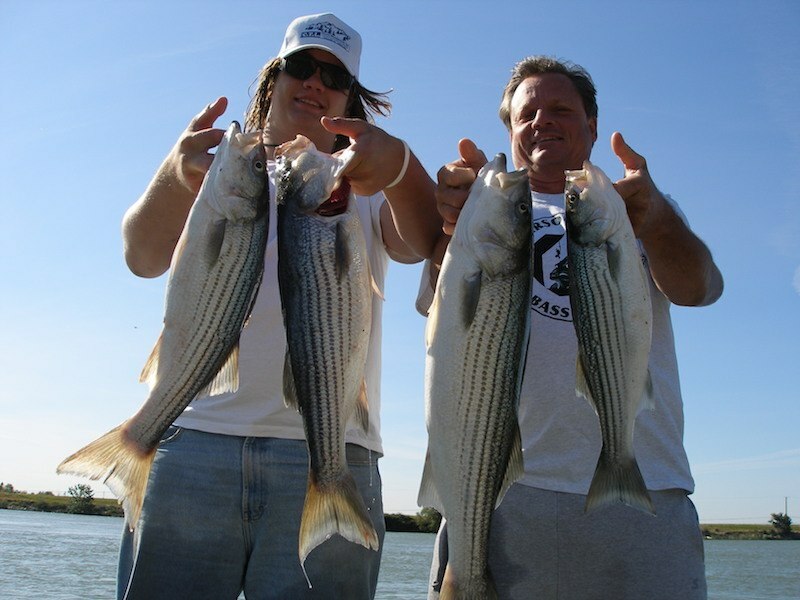 Our main tactics include speed trolling diving lures and drifting live minnows. 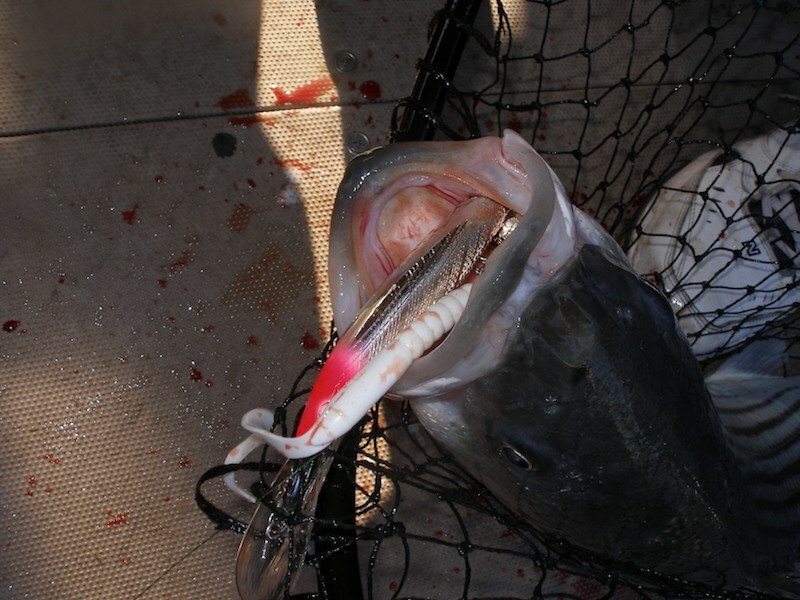 Either way, the bite is violent and the fight will test your stamina and strength. 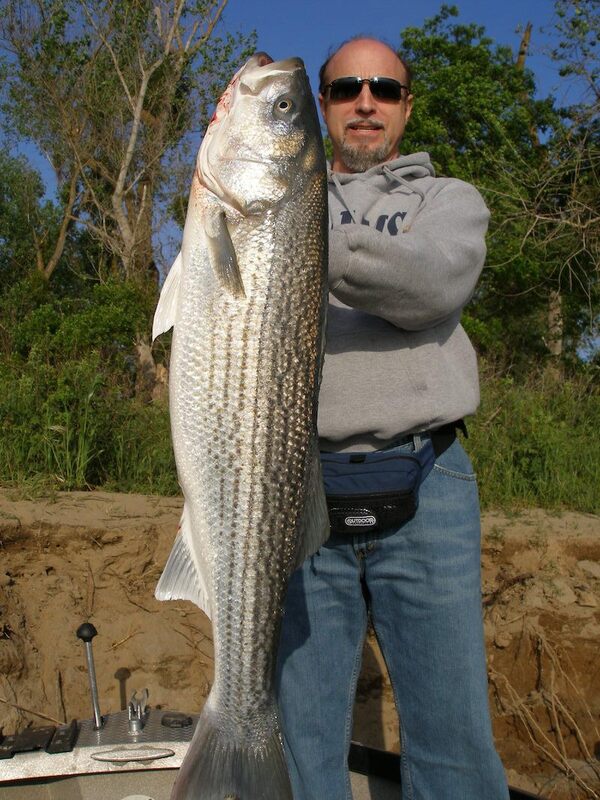 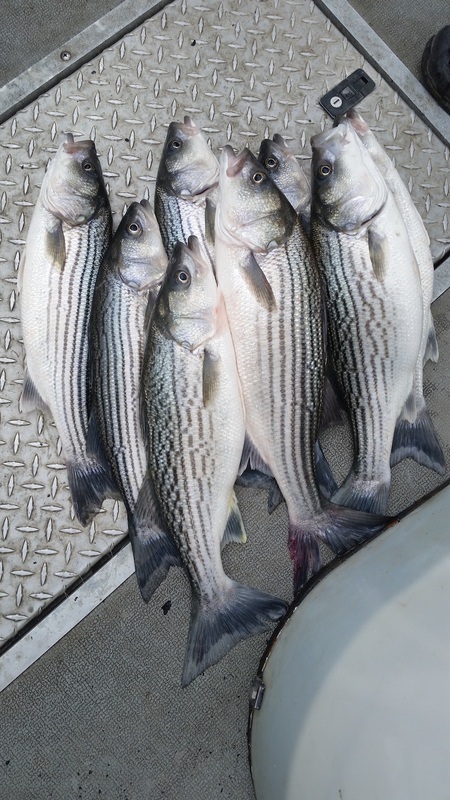 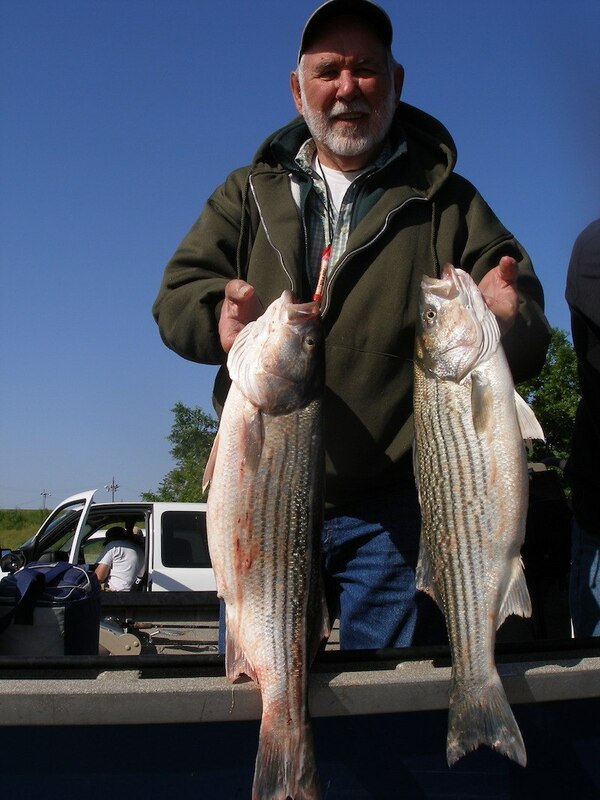 Spring stripers average 2 to 8 lbs. 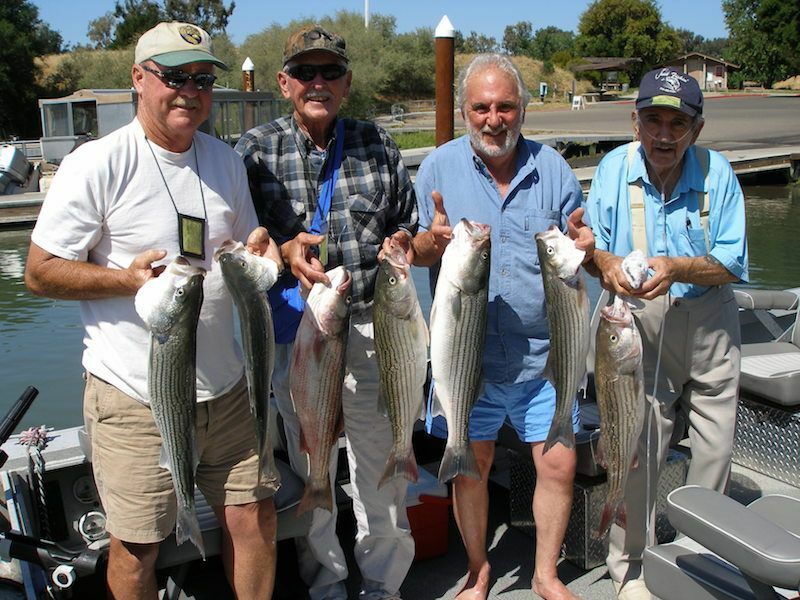 with larger fish taken regularly. 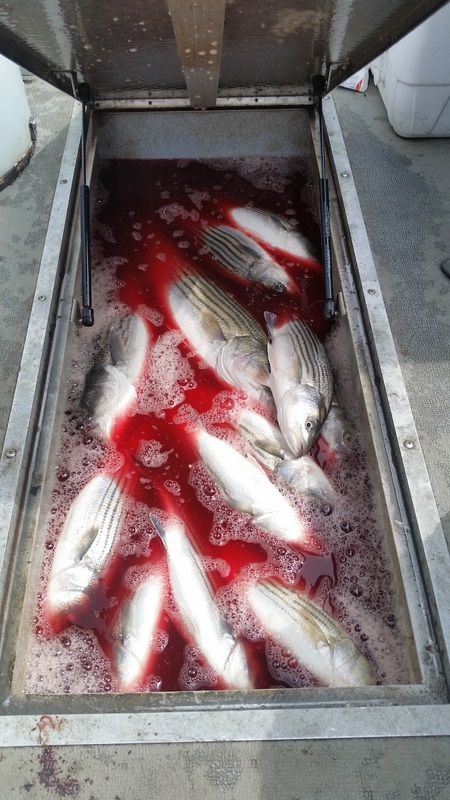 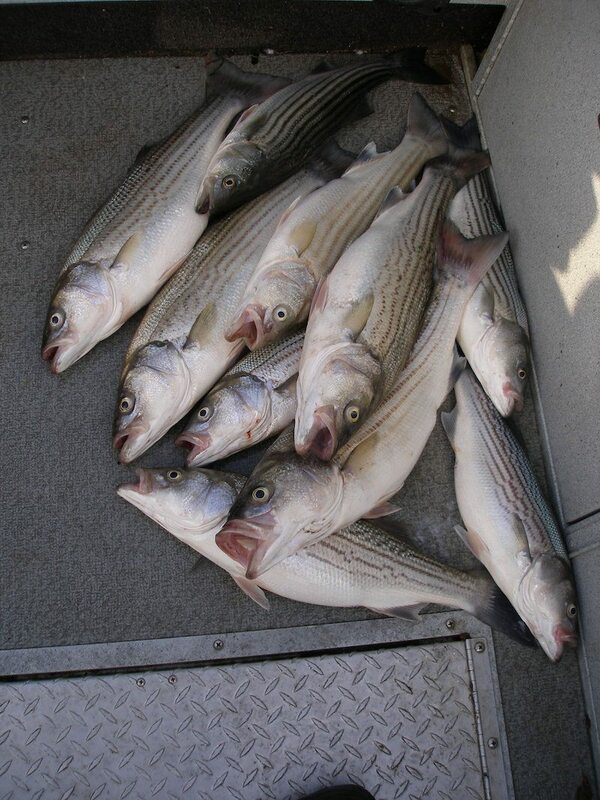 Striper anglers will take advantage of our spacious 24′ Jet boat which can accommodate up to 6 passengers comfortably. 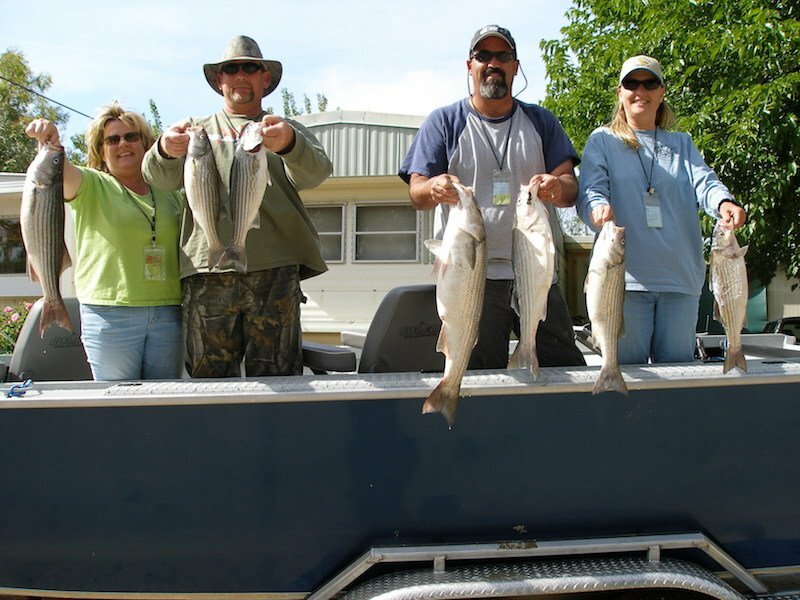 For groups of more than 6 we are happy to arrange for additional trusted guides and boats. 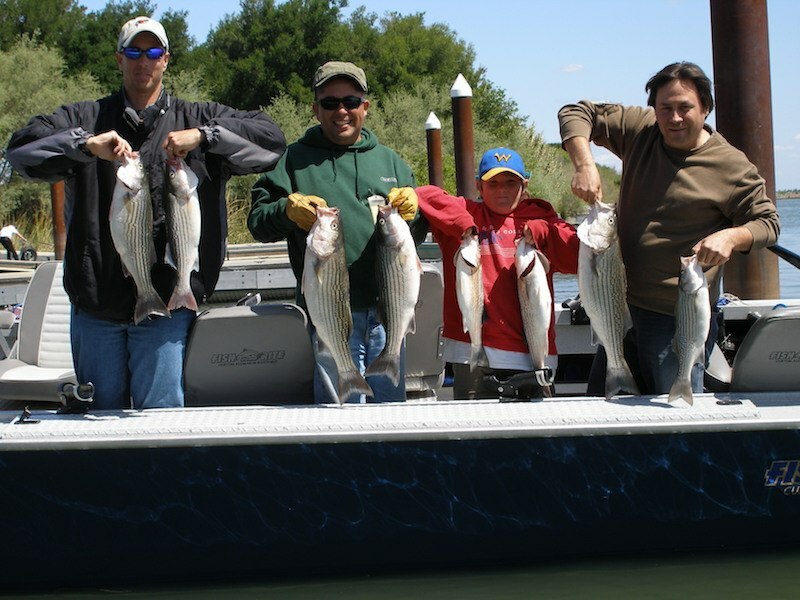 This is a great trip for the kids; easy techniques and LOTS of fish. 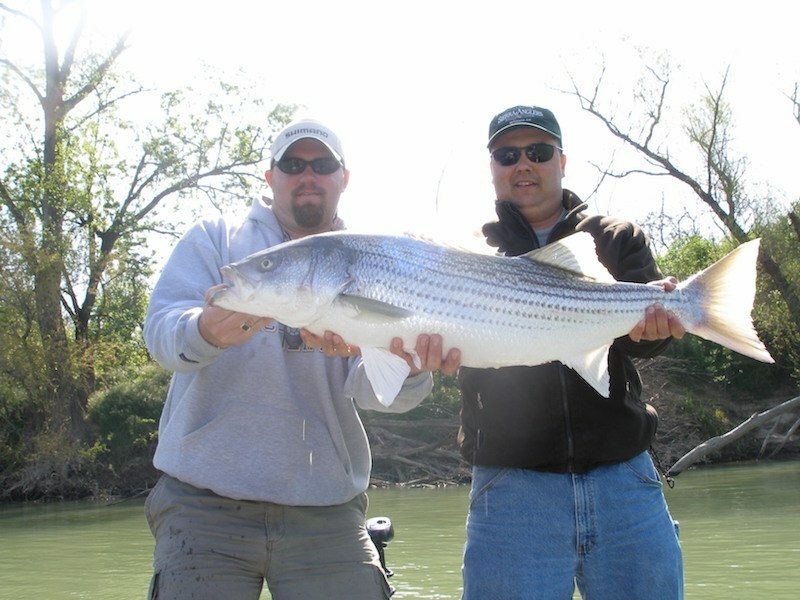 Remember, fly fishing for stripers is also an option and is an incredibly fun way to spend a day on the river. 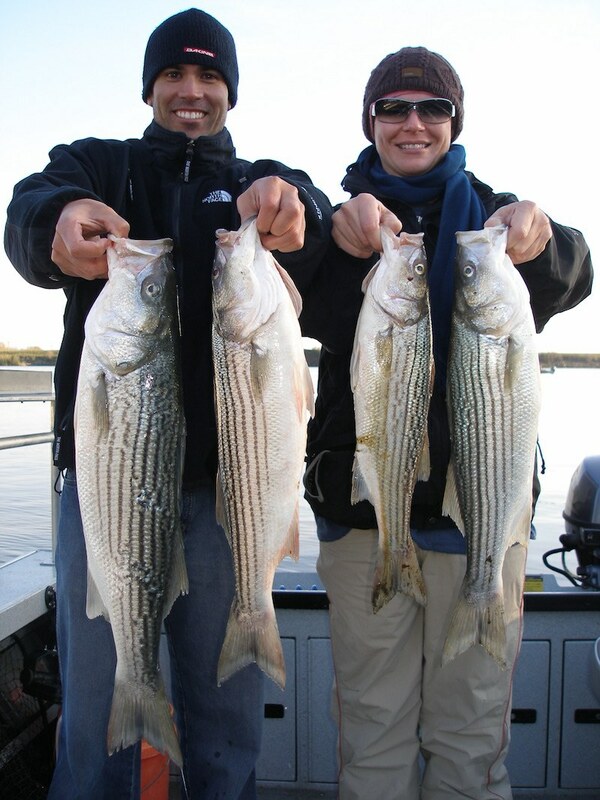 Contact us for more details regarding stripers on the fly (limited to 2 anglers per day). 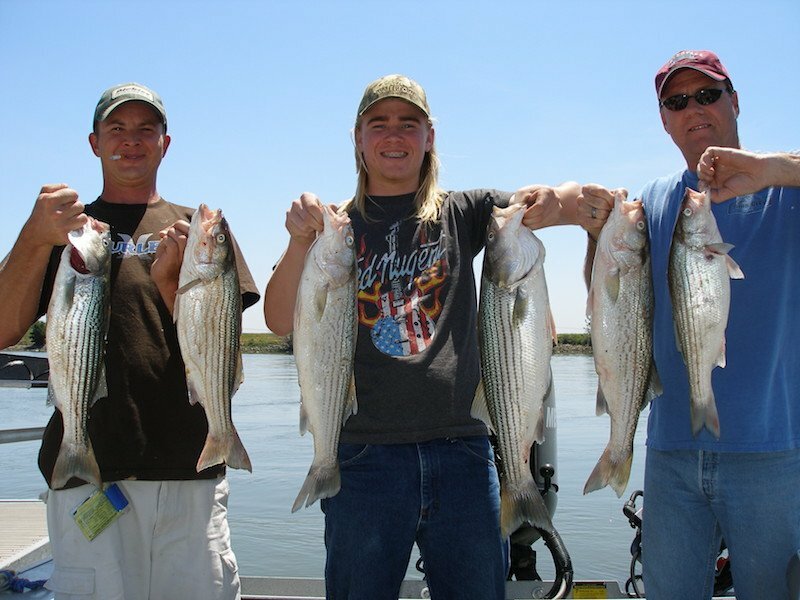 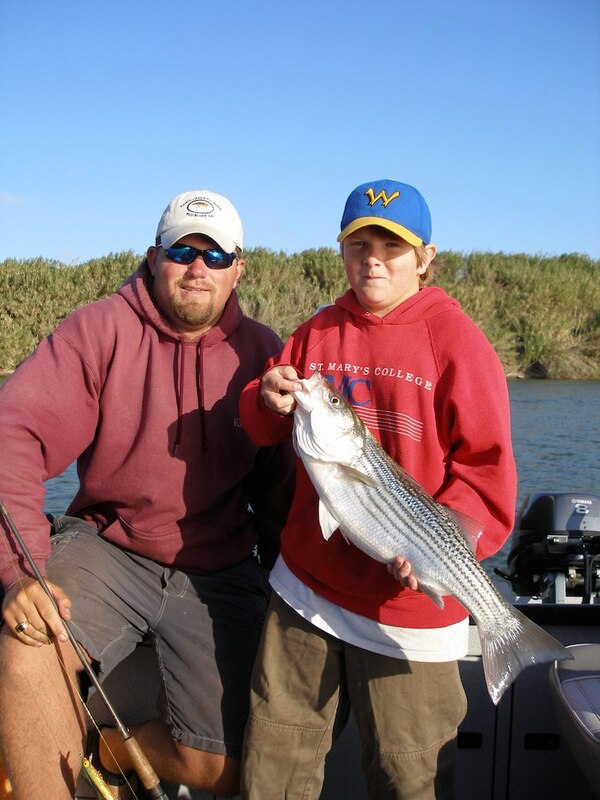 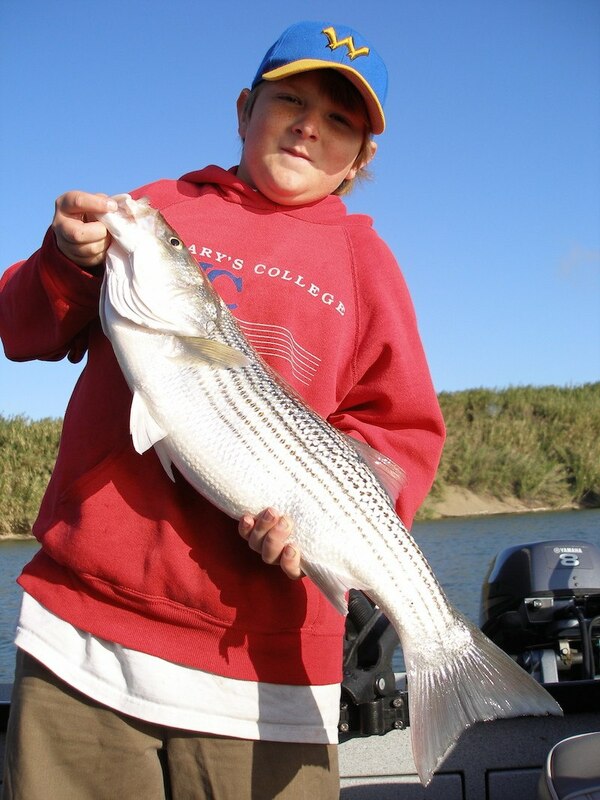 Our striper trips include a full day of guided fishing along with all of the bait, tackle and terminal gear anglers will need to have a successful day. 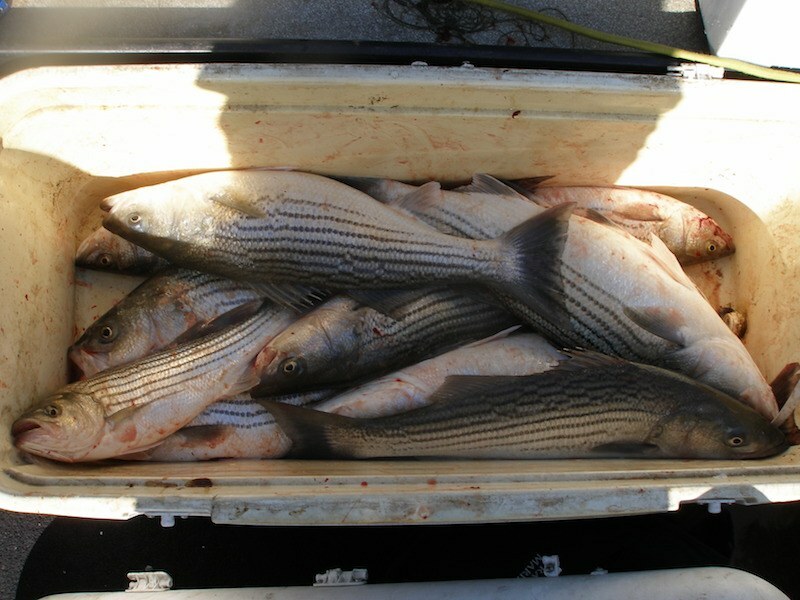 The catch for the day will be processed and packaged for the trip home, so remember to bring a BIG ice chest. 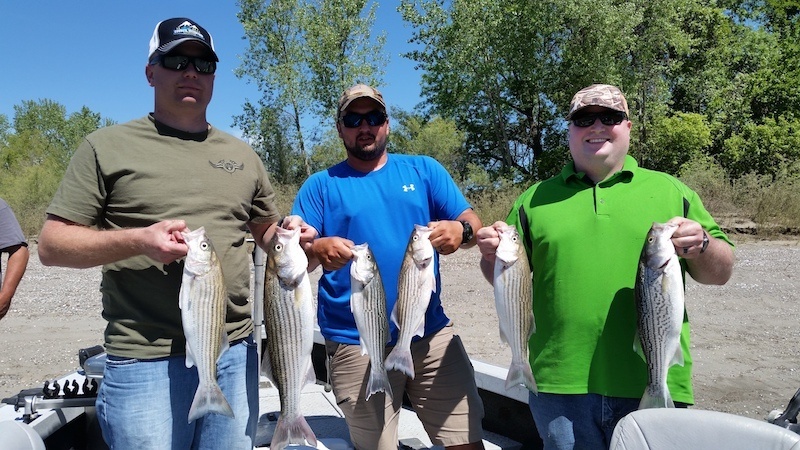 As with our other types of jet boat trips, please bring your fishing license, a hat, sunglasses and sunscreen, and dress in layers with weather appropriate clothing. 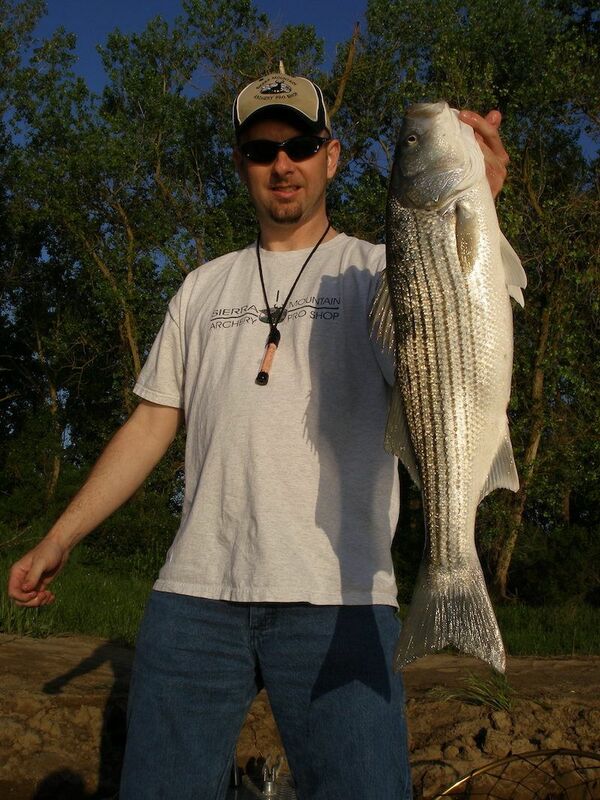 Also, bring lunch and any beverages that may be desired for the day.